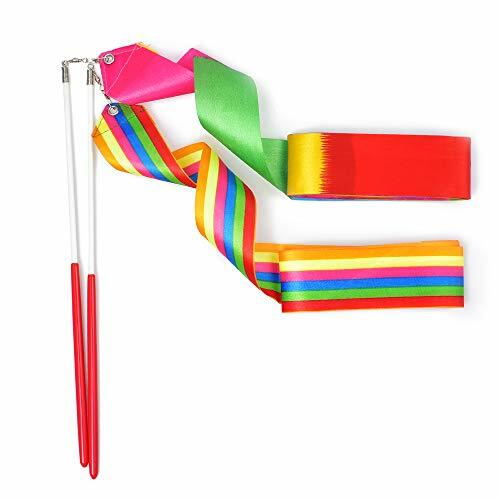 16 Packs Dancing Gymnastics Ribbons for Kids, ideal for adding the grace and beauty to any dance rountine, keep the movement flowing by.Product Size:Ribbon Size: 200cm/6'6" Wand Length: approx 30cm/11.8"Product Features:- This product is suitable for kids ages 4-8 years old.- Smooth ribbons making dancing more dynamic and elegant, keep movement flowing by.- Upgraded anti-slip pink grip handle, no easy to slide off when twirling.- Ideal for rotating baton, gymnastics training, circus skills, color guards and marching bands. When you are going to hold Wedding / Birthday Party / Baby shower/ Bridal Shower! When you are going to hold celebrate Festival / Holiday! Use these gorgeous wands as an alternative to the traditional confetti throwing - without the mess! 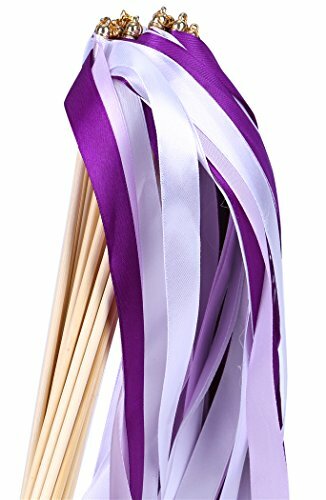 These wands have strands of colourful ribbon and lace and are ideal for the wedding party to applaud the couple as they leave the aisle. A unique touch to the big day! 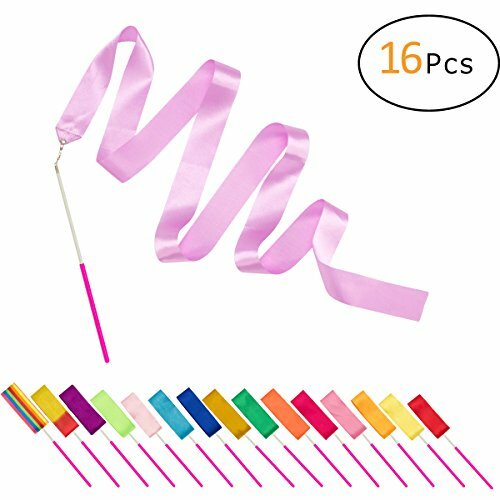 Gym dancing ribbons: People who does not know how to dance with the ribbon are able to make beautiful, artistic looking movements with them, it will give you a special experience Specifications: Ribbon size(LW): 78.7 x 1.8 inches Rod length: Approx. 11.8 inches Color: Rainbow and flame Material: Silk ribbon Package Include: 2PCS Dance Ribbons (Not include other accessories) Attention: Please notice the exact items size and permit the color difference due to the monitor's brightness and contrast settings If you find any problems about our products, please let us know and we will give you refund 100%! Beautiful wedding wands for your guests to use after/during your ceremony/reception! Wedding wands are a great way to entertain your guests and yet perfect for photo opportunity. For each happy time fit for Wedding,Holiday Party,Warm Interaction,Student Games,Class Activities,the Show and Cheerleaders Games,Celebration Activities. Make a creative party or parade! 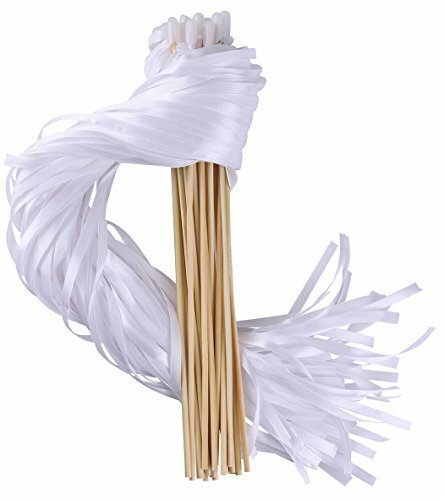 With our CODOHI RIBBON FAIRY WANDS, kids would have a wonderful memory of their parties! 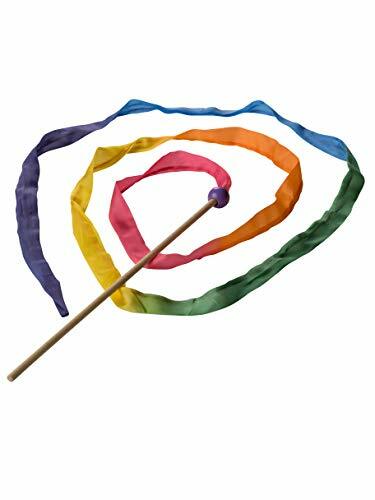 The streamers are long enough and extend beautifully when the child holds the wand up, spins and runs! 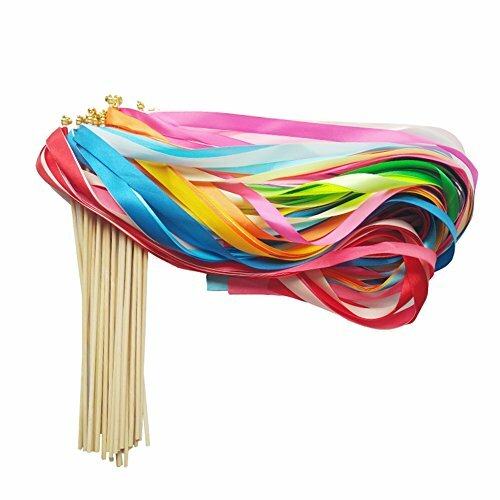 Specifications: Material: premium quality ribbons, sticks, and bells. 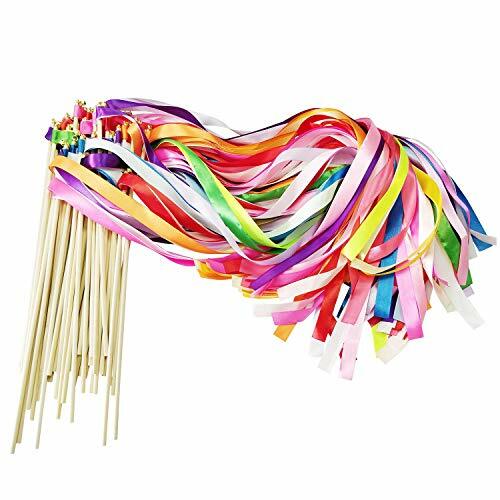 Size:Each ribbon is 24inches in length, stick is in 12" long. Quantity:50pcs Tips: Looks beautiful gathered into a vase as a centerpiece as well when don't use them. 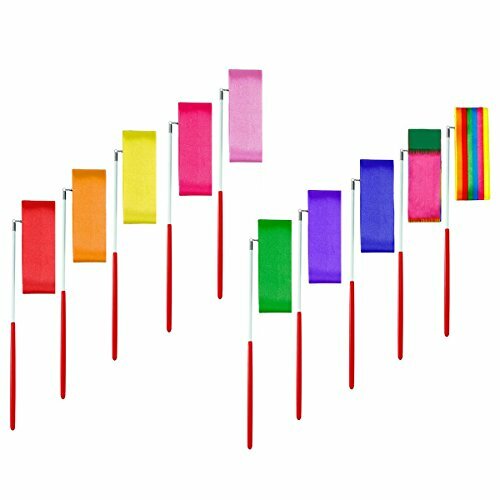 Sarah's Silks' streamers can provide endless hours of fun. Right away, kids can wave it into spirals and shapes. They'll make up their own movements, jumping, spinning, and dancing. As with all Sarah's Silks products, the child's imagination powers play. Size: 14.2014.20in. x 5.30in. x 4.80in. DIY Wedding Wands - Today I am showing you how to make DIY wedding wands that will look gorgeous at any wedding. Don’t forget to like, share and subscribe. Materials: Ivory Ribbon 5/8” Tan Ribbon 5/8” Silver/Gold Glitter Ribbon 7/8” Ivory Ribbon 1/4” 12” Dowel Rd Jingle Bell My Links: Blog: http://www.doviescott.com My shop: https://www.simplydovie.com Facebook: https://www.facebook.com/simplydovie/ Instagram: http://instagram.com/simplydovie As always thanks for watching! Crafting, parties, props and cake Tutorials.